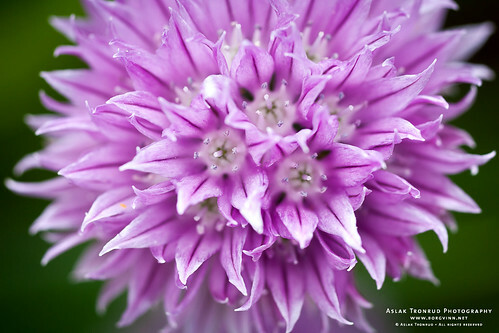 Chive flower, a photo by aslakt on Flickr. How do a SLR camera work, try it out an maybe learn something. Hvordan virker et SLR kamera, test og kanskje lær noe. 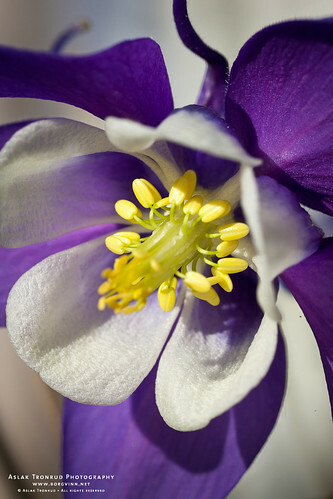 European Columbine, a photo by aslakt on Flickr. Ute å fotografert litt i hagen med 105mm Makro og 12mm extension tube. Lastet opp noen flere bilder på flickr. Out in the garden taking some photos with the 105 mm Macro lens with a 12mm extension tube. Posted some more images at flickr.